You would be forgiven for thinking that Greenland is burning up. But you would be wrong! DMI have published their Historical Climate Data Collection 1768-2015 for Greenland, and figures for last year continue to show temperatures in the 1930s and 40s were as warm as in recent years. The only exception to this trend was the anomalously warm year of 2010, which created a lot of excitement in alarmist circles. Numbers since then, however, show that this was no more than an outlier, a weather event. Since then, temperatures have returned to previous levels. Indeed, last year was a particularly cold one, especially in the west. Below are legible versions of the above graphs! In Nuuk, for instance, last year was the coldest since 1993. Incredible though it may sound, it was actually colder there than any year between 1922 and 1971. You will none of this from our supposedly objective media, who would much rather feed you with myths about the Greenland ice sheet melting away. ← Did Hurricane Matthew Ever Get Anywhere Near Cat 5? If you draw a linear trend on each of the graphs, it is UP! What you are missing is the continuing recovery from the “Little Ice Age”. Without the anomalous year of 2010, the trend is barely up at all. There are two major temperature cycles in play here. A ~1,000 year cycle responsible for the Minoan, Roman Medieval warm periods and the concomitant cold periods such as the Dark Ages and the Little Ice Age and a~60 year cycle clearly visible on the last graph that appears to correlate with the North Atlantic Oscillation. It is very clear that late the section of the graph covering 20th century warming ~1970 – ~2010 supposedly due to anthropogenic influences is indistinguishable from the section between ~1900 – ~1940, before the claimed commencement of anthropogenic influence on temperature. You are missing that Nature does not do straight lines. There are few or no natural processes that are not cyclic. SOP for the alarmists is to cherry-pick some suitable section of a clearly cyclic phenomenon, linear regress it to Armageddon and then run round hooting and screeching and demanding money to protect us from it. Then, when it becomes evident that it isn’t going to happen, they invent another. “You are missing that Nature does not do straight lines.” It does in Michael Mann’s Hockey Stick Curve when you remove the Medieval Warming and Little Ice Age. See how nature does straight lines? Easy. the clearest thing to me is the cyclical nature and the probability that we are now about to turn downwards again, and as the post says it was as warm (less frigid in Greenlands case) in the 30’s and 40’s. Yes the trend line is up but nothing to alarm anyone or justify the hype in the media. P.S. O….K….. From start to finish they’re up, but with a plateau-todown-a-bit in the middle, so up. then down a bit then up. Which raises the whole Q. of time-frame and associated trends, and we could wrangle over this interminably — as we all well know! Perhaps that line of thinking is enlightening …. over paleo-history, there’s an infinitude of trends, covering spectra of time-frames. THIS IS THE ONLY CERTAINTY! In paleo-historical records, the era of homo-sapiens is a fragment to the extreme right of the time axis. If it so happens to be a ‘blip-up’, there are certainly many other identifiable ‘blips-up’ in the long-run graphs, NONE OF WHICH HAPPENED DURING HOMO-SAPIENS’ ERA. (And trends continue until they stop, of course!) So any modern-day blip-up is statistically insignificant ….. right? Jury’s OUT ….. Ask again in 1 m. years! In the current era of alarmist Hysteria, ANY ‘UP’ is going to hailed as proof-positive of their argument. They’ll cherry-pick a datum-point in the past at some conveniently low point of whichever graph suits their purpose, cherry-pick a hi-point in the last few years and claim victory! To that extent, Nabbiz & Mark, I think your good points will be brushed aside by the Alarmists. I’m a [retired} Progessional engineer, and I never was a good Mathematician. What I’d love to study & analyze is the subject of trends on every single plot of [relevant data] against paleo-history (to the extent that he have those data). My hypothesis wd be the insignificance/irrelevance of any anthropogenic effect on the grand-scale of time. And particularly on the grand-scale of aggregates, such as paleo-historic levels of CO2, O2, temp., sea-levels, insolation, vulcanism, etc., etc., contrasting the quanta thereof with the insignificant anthropogenic contributions (which my hen-scratchings indicate are infinitesimal in comparison on every count). As a botanist with a lot of Paleobotany study, I can tell you that it was not until Devonian Period (ca.408 mya) that there was enough buildup of nasty “greenhouse gases” due to activity of life in the oceans to allow life on land. Prior to that, the UV would have cooked the little tykes. In early Devonian, plants the size of pins and looking very much like them, ventured onto land. By the end of Devonian we had plants the size of modern trees. That was followed by the Carboniferous Period with the Mississippian (ca. 360-320 mya) and the Pennsylvanian (ca. 320-266 mya). Carboniferous was when tree-sized plants related to horsetails, scouring rushes and ground pines happily slurped up gobs of carbon and other nasty greenhouse gases to form the nasty coal fields. October 18, 2016 11:42 am: Right on, Joan. As another (ex) Botanist via horticulture, my garden watermelons in northern New Zealand told me, by refusing to ripen, that climate needed looking into. I had assumed Climatology knew what it was talking about. What a surprise for me, as I brushed up on my physics…. Catweazel … tks for this. There’s a spectrum of Skeptics (just as there’s a spectrum of Alarmists) and I think that the more one studies the hypothesis of AGW, the more skeptical one becomes, and less ‘fence-sitting’. Having looked at the vast scales by which anthropogenic contributions are drowned by the (metaphorical) ebbbing & flooding tides of natural phenomena, the more I’m convinced that Alarmism is based on *nothing* but hubris & hysteria bgy sinecure-seekers and Snake-Oil Salesmen. I would like to see greater emphasis by the Skeptics on dashing the absurd pronouncements of the Alarmists against the rocks of paleo-historical observations of variations in key metrics. The obvious conclusion to anyone with 2 brain synapses to rub together is that Earth is FAR more robust than the delicate body the Alarmists would have us believe, and that paleo-history demonstrates that many so-called ‘tipping-points’ (as currently conceived) have come and gone, yet Gaia is still here! Catweazel: You put it better than I could! Battling them trend-line by trend-line in the trenches isn’t going to sway Hysterics! I’m wondering if the bigger battle-field of paleo-historical highs, lows, averages, mega-cycles, trends and natural catastrophes and the infinitesimal influence anthrogogenicity is having, isn’t the best way to undermine the Alarmist propaganda. Fortunately Ross, the most effective ‘denier’ of all is on our side. As will become increasingly evident quite soon now, if I don’t miss my guess. Unfortunately what our side sees coming is another colder and stormier period that will make it harder on most living things. 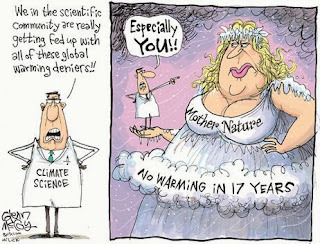 Sometimes I wish the alarmists were right, minus the over top catastrophic BS. If it didn’t snow in Southern England for 1,000 more years it would be a good thing. If the NW passage was open for summer of every year, that would be a good thing for most of us and most life. If conditions allowed us to continue to have record years of growth of grains and produce it would be a good thing. It might also be a very good thing if a very small and specific area of Quito, Ecuador would have a Magnitude 10 earthquake tomorrow during the middle of the day. The “Arctic warms more” seems to work if you also adds that it cools more. I believe Iceland can show the same behaviour, if you rely on their own measurements. ps.. you can see the 60 odd year cycle even over the extremes of the little ice age. pps. It might be interesting to invert one of those temperature graphs and see how it matches the Iceland sea ice index. To Catweazle and Ross…..just to fill out your comments slightly…during the MWP when the Vikings lived and farmed in Greenland, there was during this period I believe,a 200yr drought in California which drove the local native Indian peoples down to Mexico.They did not return. Around 6500yrs ago when that green and pleasant land we call the Sahara lost its rainfall and went dry,the people ambled over to the Nile and built pyramids.Better than sandcastles I suppose.They did not return either. So what we are trying to do is demonstate to some of the commentators, that nothing really unusual is happeniing, and we seem to be in quite a docile period at the moment compared to our climate history when CO2 levels were so much lower. The way warmists seize on individual weather events and short-term stats is a good indicator of desperation. Is there sunshine data for the same time period? Especially bright? Meanwhile, look at the Greenland SMB go ! Darn , there’s a cache issue… graph above is a couple of days old. The strong cyclical trends shown to occur in Greenland also occur in many other parts of the world. A High around 1940, a Low around 1980 and another High around 2010 are common. In Greenland the 1980 temperatures are about 1 deg C lower than in 1940 and since then there has been an increase of around 1.5 deg C. All part of the increasing temperature trend since LIA but not nearly as frightening as it would appear if one only looked at the records for the past 50 years. My plots are based on raw annual mean data from KNMI (Netherlands) and I notice some differences for individual months with the DMI plots. The KNMI data has periods with missing data whereas DMI does not. Does this mean that DMI have made estimates of missing data? i would have expected KNMI to adopt the DMI data without any adjustment but maybe KNMI deemed that some data are unacceptable and deleted them from their database? A bit of a worry either way! I consider the KNMI database to be the most useful one for worldwide data retrieval, even if they are not always up-to-date, but maybe there are alternative sources. Actually, it seems to be mostly ion the NH.. linked quite strongly to the AMO. I have seen graphs of Swiss glaciers, Mt Baker glaciers retreat and expansion etc, that also follow this same cycle. ‘Britain is poised to fund a major expansion of dirty diesel power, after up to 246 proposed new projects with a combined capacity that could exceed Hinkley Point qualified for a Government subsidy scheme to help keep the lights on. If diesel projects are as successful as in previous years of the scheme, they could be in line for consumer-funded subsidies of £800m over 15 years, according to analysts at green think-tank Sandbag………’. Greenland. Geografiska Annaler 86A: 217-224. Coincident with this cooling trend there was also what they describe as “a remarkable increase in the number of snowfall days (+59 days).” What is more, they report that “not only did the cooling affect the winter months, as suggested by Hannna and Cappelen (2002a), but also the summer mean,” noting that “the summer cooling is rather important information for glaciological studies, due to the ablation-temperature relations.” Last of all, they report there was no significant trend in annual precipitation.